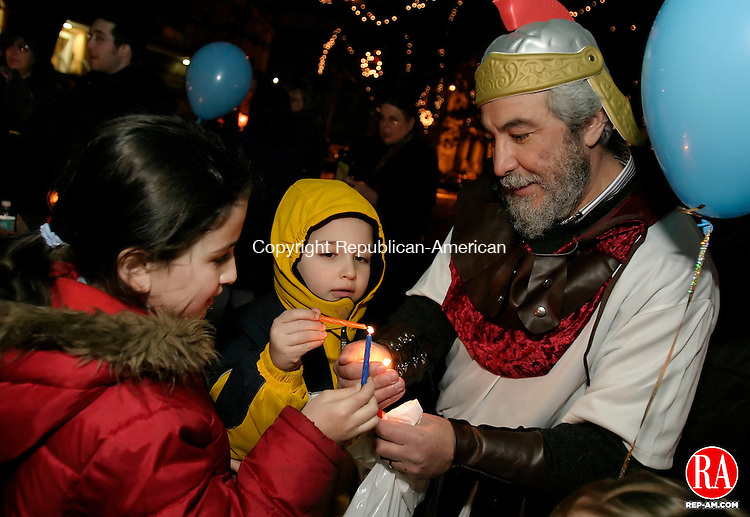 Batya Eisenbach, 8, Nochum Eisenbach, 7, and Alain Levy, dressed as one of the Macabee's, light candles during a menorah lighting on the green in Waterbury Monday night. The lighting is sponsored by the Chabad Lubavitch of the Northwest Corner. Levy said the name Macabee refers to Jewish soldiers.